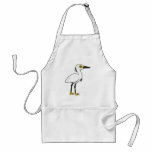 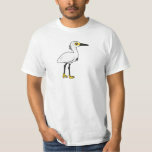 The Snowy Egret is a small sized species of heron found in the Americas. 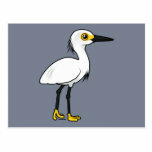 They are very similar to the Little Egret which is found in Europe, Africa, Australia, and New Zealand. 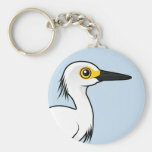 There are Snowy Egrets that live as year-round residents through much of South America, while others migrate between breeding grounds across the United States down to wintering grounds in Central America. 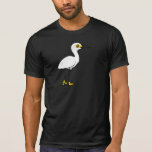 Snowy Egrets feed on marine prey, including fish, insects, reptiles, and insects. 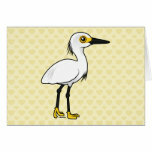 They often use their yellow feet and toes as fishing "lures" when searching for prey. 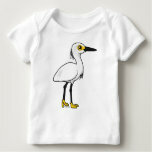 The beautiful breeding plumes developed by Snowy Egrets each spring were once in high demand for the fashion industry. 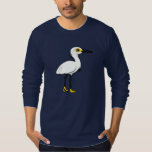 Egrets were hunted to dangerously low numbers; the Audubon Society began in these dark days as a way to combat the trade in native bird feathers. 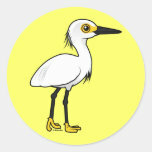 Today the Snowy Egret population is strong and even increasing. 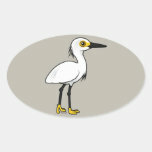 The conservation status for the Snowy Egret is Least Concern as of April 2014.